Calculate the resources that your project needs and manage the execution of your tasks, associating all the costs (invoices, time sheets…) to the corresponding project and at the level of detail that you need. BrickControl automatically calculates the resources needed for the execution of your project on a global, stage, or work package level. 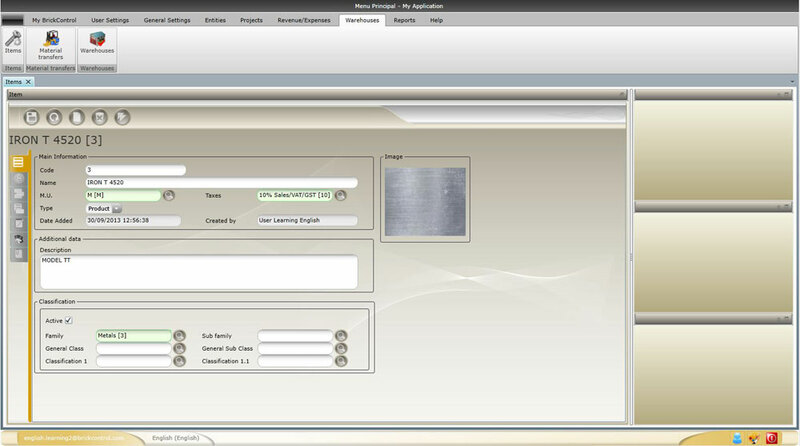 With BrickControl´s process integration, issuing certification invoices is done automatically right from measurements and with you own design thanks to our templates. 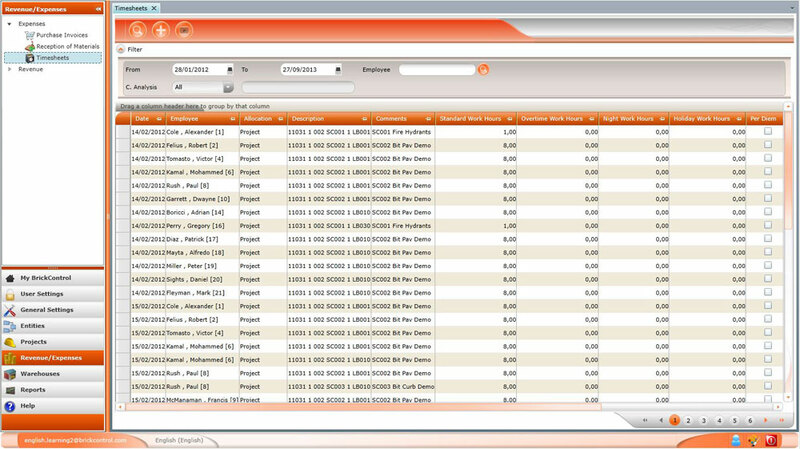 With BrickControl, you can register materials that you receive from your suppliers that do not correspond with a purchase invoice (delivery notes). These registrations can be made in terms of a Project (with any desired level of detail for the cost allocation) or Warehouse (in any desired level). Through the Purchase Invoices, the value of each line can be assigned to a Project or worker as a cost, or allocated to a warehouse as a receipt of goods. 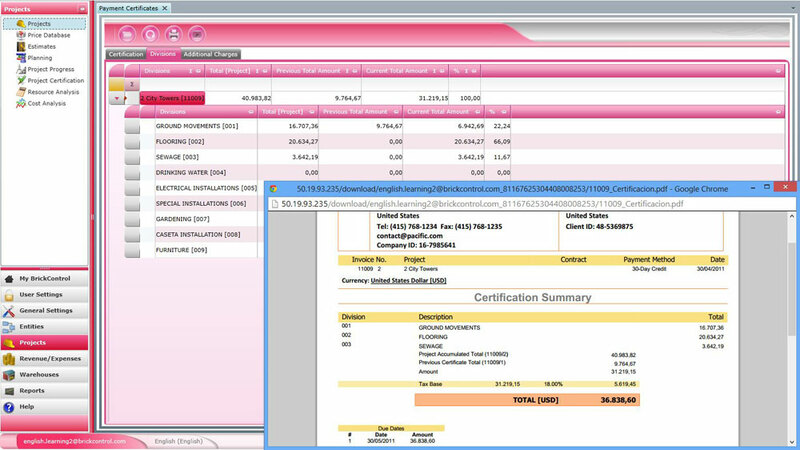 These invoices can be received in any currency and include all necessary files. 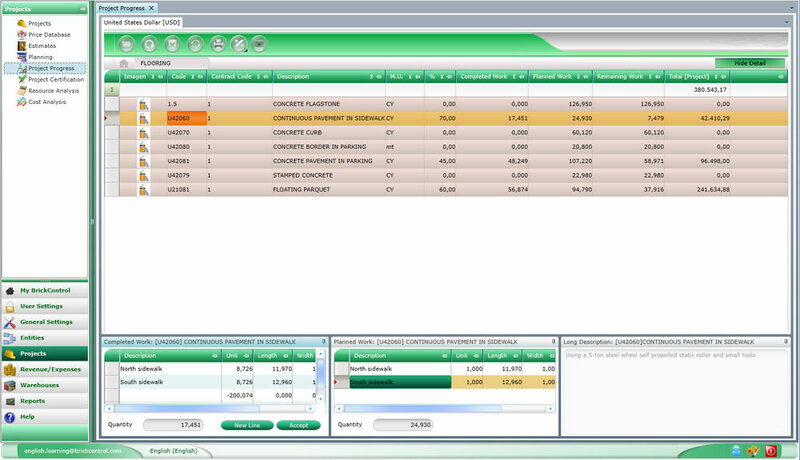 Based on the Invoices, BrickControl automatically generates payment provisions (suppliers and taxes) and produces a report of the purchases related to each project, worker, or warehouse. Move materials among all of your company’s centers: from a Warehouse to a Project, from a Project to another Project, within a single project, from a Project to a Warehouse, from a Warehouse to another Warehouse. 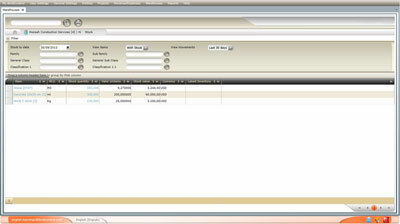 Warehouse Inventories and Project Costs are automatically updated to reflect these transports. BrickControl lets you see the hours worked (normal, extra, holiday, night) by your employees for each day and Project (in any level of detail). Other types of costs, such as subsistence and mileage, can also be verified. The costs of the Projects will be automatically updated to reflect this information. 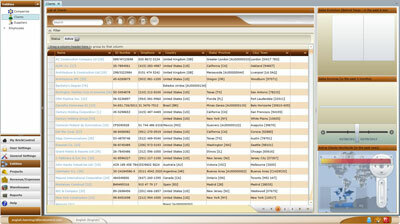 Registering workers on BrickControl allows you to have an updated address book. In addition, through document management, you can associate any file or comments created, generating a significant increase in security against misplacement or loss of data, and a cost savings to your organization. This way, personnel management becomonth an extremely simple task with excellent results for the daily management of the company. 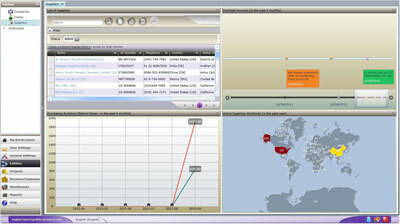 Your customer information is always available in the cloud. BrickControl allows you to have updated data on your customers and associate any file and observation to the customer, thus generating a significant increase in security against misplacement or loss of data, and organizational cost savings. 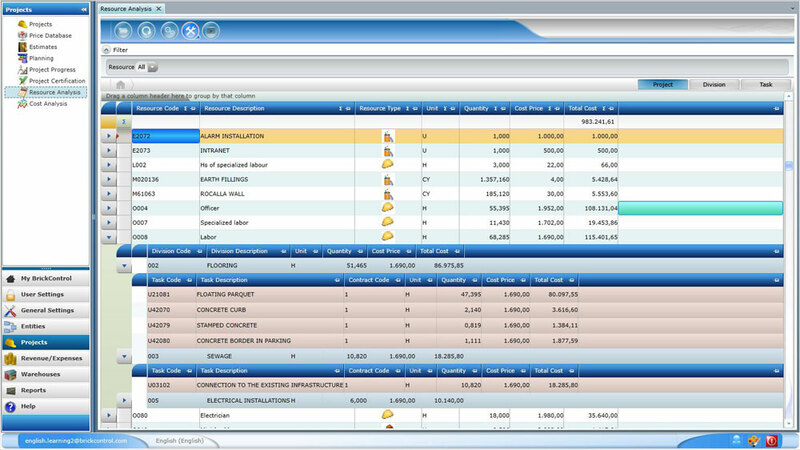 Also, through graphs and reports, you can analyze invoices and customer profitability, sales development and geographical distribution. 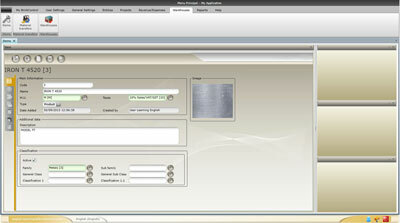 Registering suppliers on BrickControl allows you to have updated data on your address book. 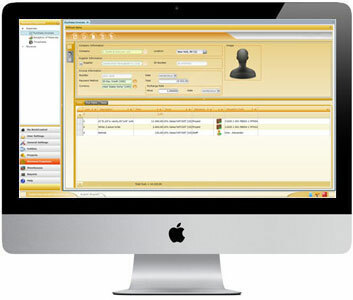 Also, through the document manager, you can associate any file or observation to the supplier, generating a significant increase in security against misplacement or loss of data, and a cost savings to your organization. Also, through graphs and reports, you can analyze invoices and purchases by suppliers, its evolution and geographical distribution. 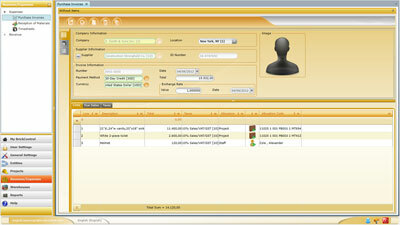 Keep your goods under control with BrickControl. You will be able to distinguish between physical and non-physical goods. 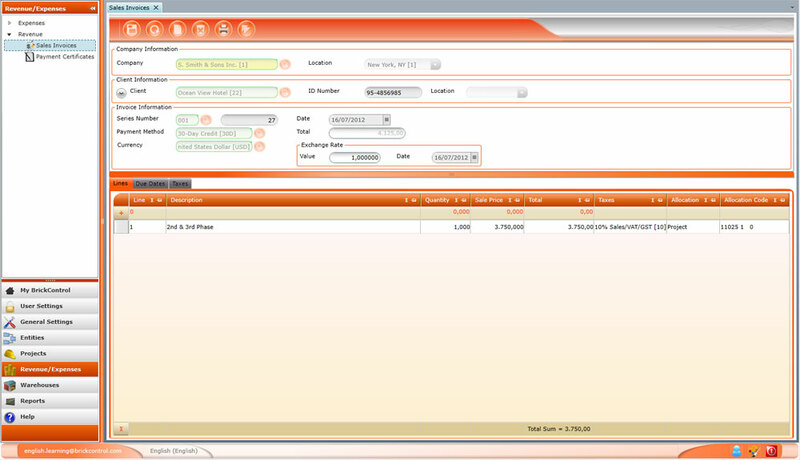 You will also be able to get their purchase prices by Supplier, Currency, or Company. For physical goods, you will be able to see in real time the stock of each Warehouse. 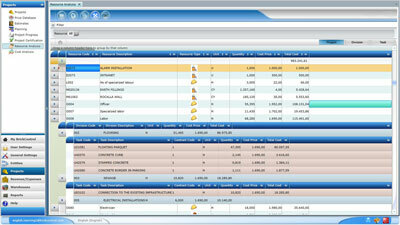 You can manage all of your Warehouses on a Company, Company Branch, or Project level. BrickControl lets you see the quantity of each Good that you have in stock. In each Warehouse, you will also be able to create inventories at any moment and update these with the results of physical stock counts. These inventories may include all of the Warehouse’s goods, or only those that you wish to control at a specific moment. 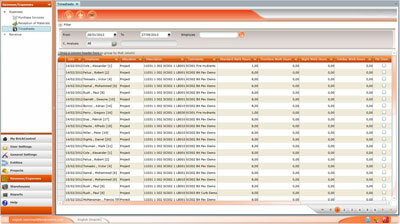 Verifying the current state of a project at a given moment is very easy with BrickControl’s Progress Monitor. For each project, you can create as many Progress Monitors as you want, using any periodicity. Progress can be displayed by units, percentage, or measurement lines. 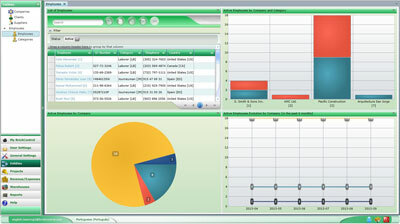 With Progress Monitors, you will be able to measure deviations in an easy and effective way. 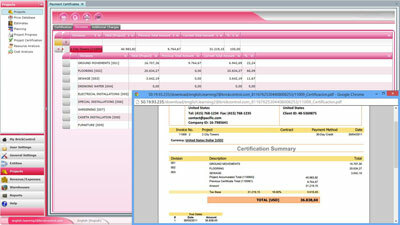 By issuing sales invoices, project revenues can be easily assigned to their respective projects. 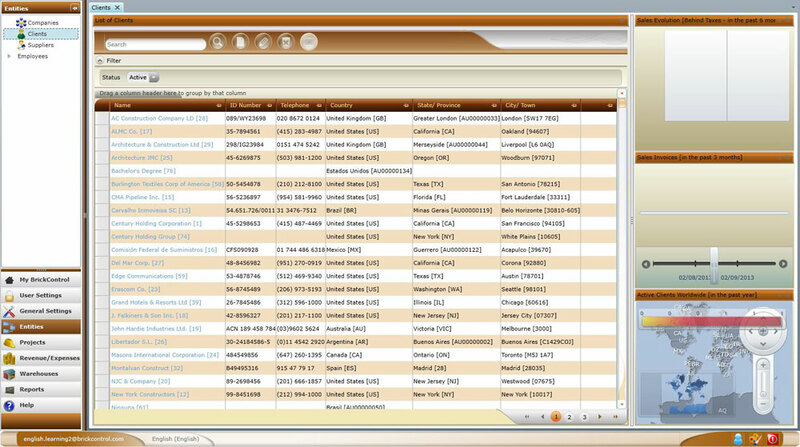 You can also generate quotations for clients automatically, and produce a detailed sales report for each of the projects. 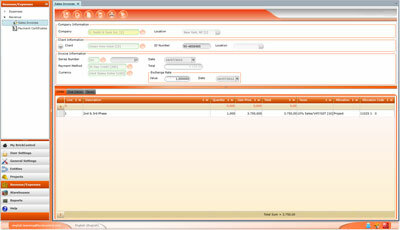 Sales invoices can be issued in any currency and you can also choose the print format that best suits your needs. 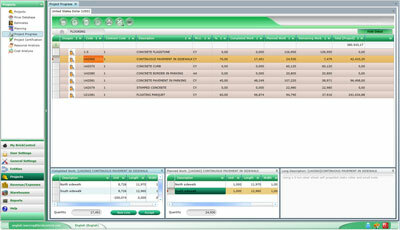 BrickControl leaves you the option to integrate with accounting software automatically. 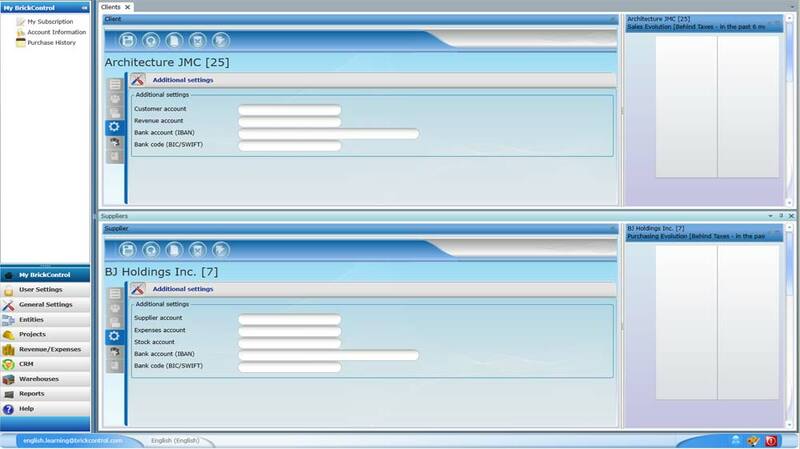 Through this integration you can configure BrickControl ledger accounts and create or modify data in BrickControl (customers, suppliers, invoices, sales invoices, bills certification …). These data sets are created in the selected accounting program generated automatically and can take from the accounting program all necessary actions in the company for accounting as the generation and presentation of financial reports.